Welcome to week 31 of the Art With Heart Colour Creations Blog Hop! For my card today I’ve gone for a very soft, paired back look using a brand new stamp set called Bloom by Bloom. I love the graphic design elements of this Marimekko inspired design. In the catalogue, the samples for this stamp set are all created with very bold colours (which I love), but I’m also really loving this softer colour combination of all neutrals: Mossy Meadow, Crumb Cake, Basic Black and Whisper White. When you stamp onto coloured card stock you get get a slightly translucent feel to the images. I’ve stamped onto Crumb Cake card stock with the Mossy Meadow (stamped off once because it is a very dark green) and Whisper White and Basic Black stamped at full strength. Did you notice the stitched rectangle framelits?…I just can’t stop using these! 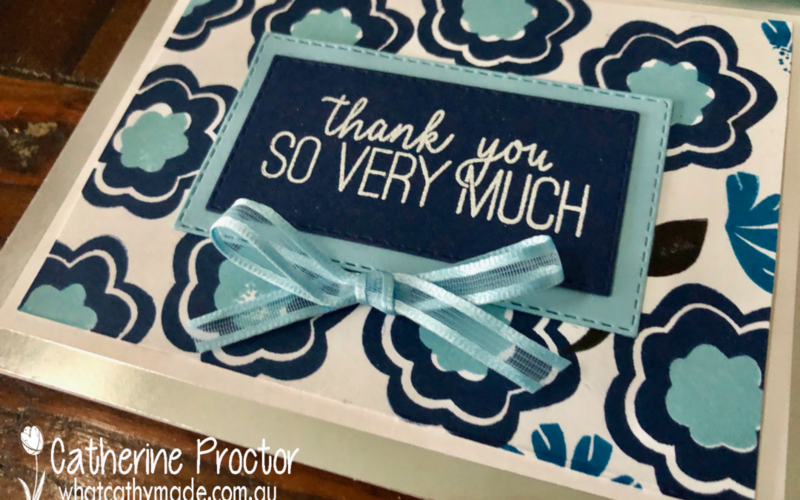 I was trying to create a simple stamping card (and succeeding) until I couldn’t resist using the framelits (I used the largest one), adding a linen thread bow and some clear rhinetones. But you could easily omit these elements and make a lovely card with this design just using papaer and ink. Because the Bloom by Bloom stamp set doesn’t have a sentiment I’ve used a lovely sentiment from the Butterfly Gala stamp set. We will be back again next week showcasing another versatile and stunning neutral: Night of Navy. We hope you can hop along with us then.